Join us for “Got Race?” a presentation by noted theologian, author, and Emmy award-winning television producer Rev. Dr. Thandeka at First Unitarian on Monday, October 1, at 7pm in the Meeting House (sanctuary). A light supper will be served at 6pm, followed by the lecture … read more. Whether your children are new or returning, everyone needs to register for the 2018-19 Spiritual Pathways program for children and youth. To download and print the registration form, click here. You can fill out the form and bring it with you when you come to … read more. First Unitarian held a special service in June to dedicate the space the congregation has worked months to prepare to shelter undocumented immigrants who are facing deportation. It is the first in Rhode Island to join 1,110 other congregations nationwide as part of the Sanctuary … read more. The interfaith Guns into Plowshares project generated a variety of local press coverage, including a newspaper article, an op-ed piece, and television news coverage. An article about Guns into Plowshares with multiple photos appeared in the Monday, May 14, … read more. Rain or shine, we need you to show up on Tuesday, May 15, at 3:30pm at the Smith Street side of the Rhode Island State House. Wear your galoshes and bring your umbrellas in case of rain. We will be leaving First Unitarian Church at 3pm if … read more. 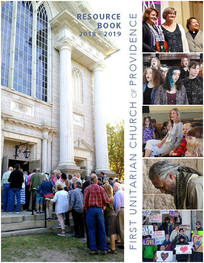 As part of the Guns into Plowshares project, members and friends of First Unitarian will march to the Rhode Island State House on Tuesday, May 15, to meet with state legislators and deliver cards and letters from First Unitarian members and friends. The letters, written … read more. “We, as people of faith, have a moral imperative to lead our society towards peace,” Rev. Liz Lerner Maclay said in a recent interview with GoLocal Prov. “Guns shouldn’t be used for individuals and private citizens against each other. Firearms used for war and violence — … read more. Now that restoration of our Meeting House has begun, everyone coming to our buildings on weekdays before 6pm must use street parking. Our parking lot is now a working and storage area, eliminating all but rented parking spaces. 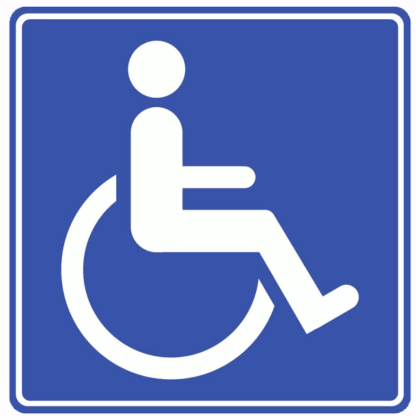 However, the parking lot can be used … read more. Fire of Commitment, the theme of the 2018-19 pledge drive, officially kicked off on Sunday, March 4th, with a morning worship service and distribution of pledge materials to all members and friends. You can read or listen to parts of the service by clicking here, and … read more.